The Fashion Lift: Grown Up Dressing.. This is the best tux jacket I have seen in ages, I spotted it on a recent shoot I was on, Emma Thatcher from A Style Album was wearing it looked fab. It looked so much more expensive than it's (now) £29. I did mention the jacket on my Instastories this week and I am afraid it sold out immediately, I bought this jacket in store, so it is well worth trawling the sales rails for. It is a tux style jacket, I sized down to a size UK 6, I tried on a UK 8 and to be honest there isn't much in it so if you see one that is one or two sizes smaller then it worth a go at trying it on as the jacket does come up big. This Marks and Spencer black cashmere crew neck jumper is possibly my most worn jumper this year. 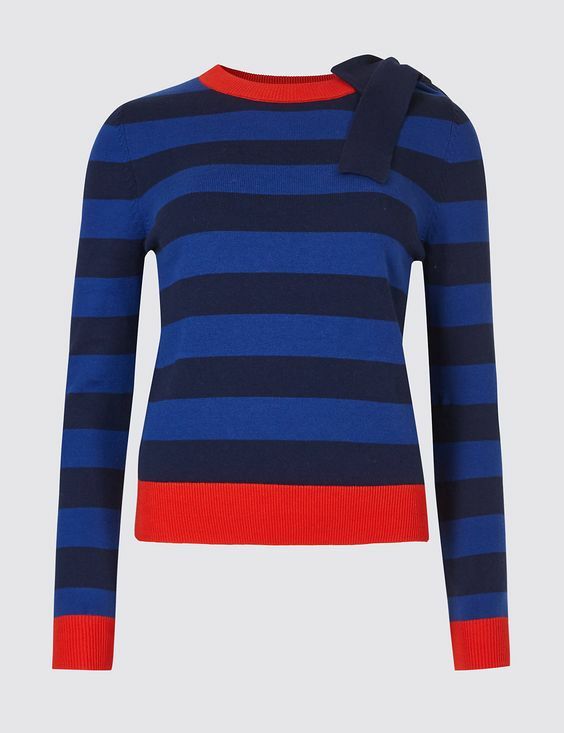 It is super soft, easy to care for (I wash it in the handwash cycle of my machine in a net bag and it always washes really well) I have a few M&S cashmere jumpers and would really recommend them, they keep their shape, wear well and are great luxurious, capsule pieces in my wardrobe. 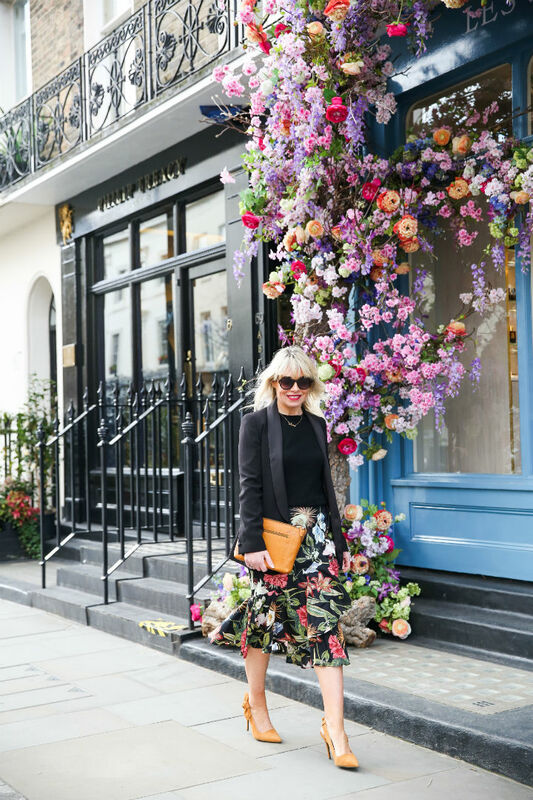 The tropical print skirt caught my eye as I walked through M&S, I am a huge fan of a ruffle and a flower print, the skirt has an elasticated waist so it is incredibly comfortable. The hem dips at the back to create a flattering silhouette, it is true to size or if you are on the smaller side of your normal size size down. 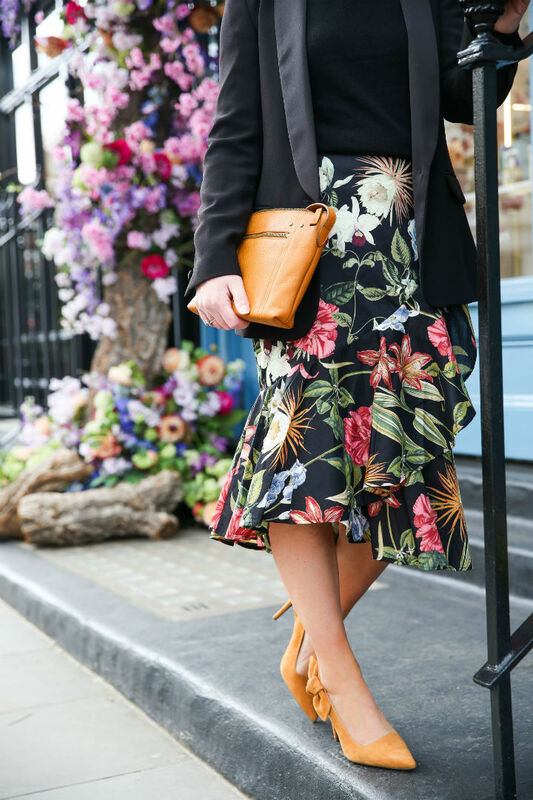 Every season M&S nail the shoes and these mustard suede ones are beautiful, they are comfortable and flattering (the heel is a great walking height) I love the bow detail at the side, it adds a design twist. The colour is subtle so elongates legs, they come in black too but for summer these mustard ones are perfect! 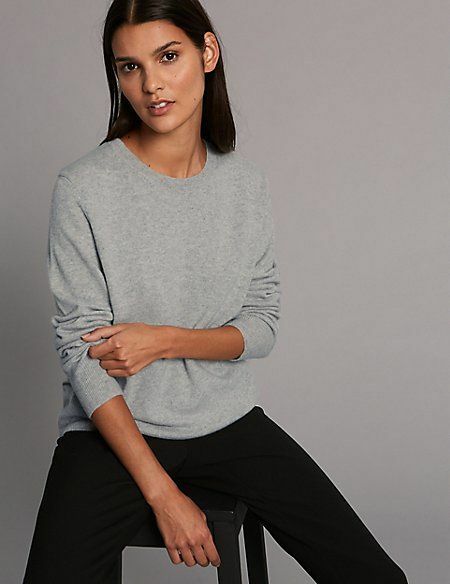 A grey cashmere jumper is the perfect item for a Spring and Summer wardrobe, it looks great with maxi skirts, or jeans and white trainers.Love a pinafore jumpsuit, so comfy and chic. 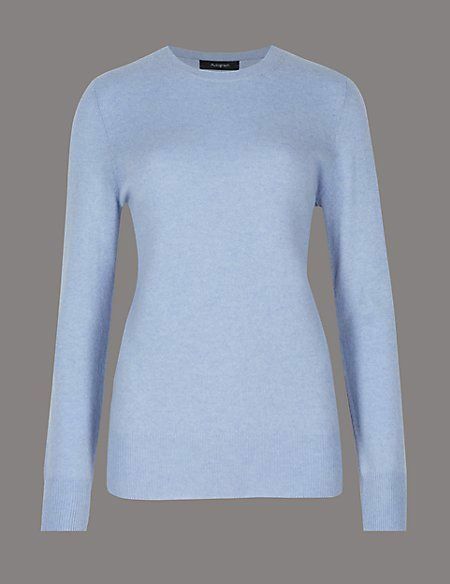 A pale blue jumper looks fab with light blue ankle length jeans and white superga trainers, a really fresh spring look, size up for a slouchy fit. 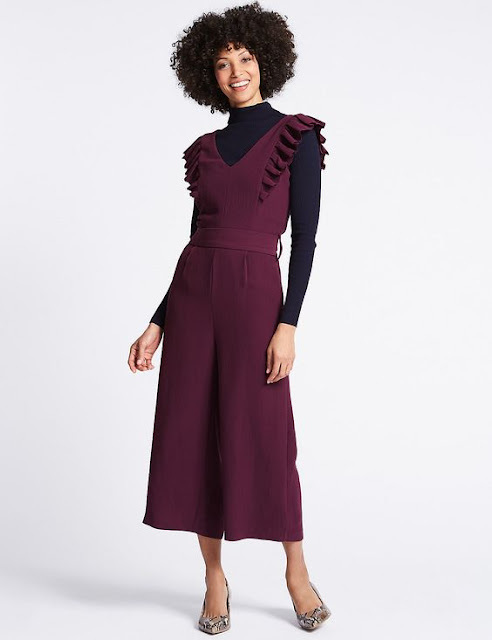 A jumpsuit is such a comfortable alternative to a dress, love the frill detail and colour. I would add turquoise earrings to clash it up and wear nothing underneath and a black tux jacket over the top. I used to have a sleeveless jumper similar to this years ago with a big bow on the shoulder and I loved it. I would size up a little with this one I think it would look good on the slouchier side. 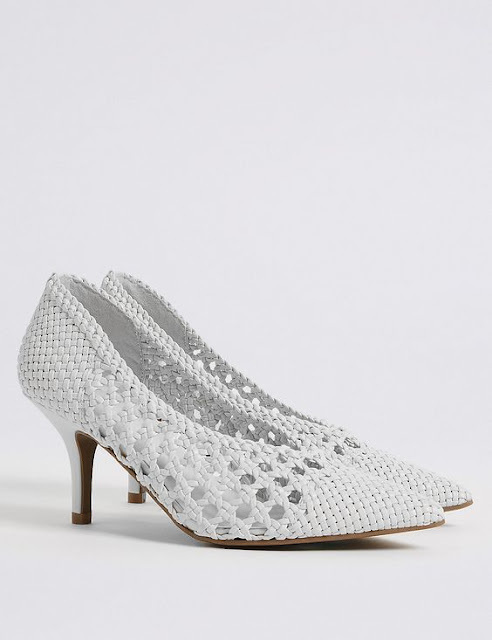 It's all about the weave shoe this Spring/summer (I remember having weave shoes when I was 11, I loved them with all my heart they were my first slip on shoes!) These are chic, keep things simple with a pair of pale blue boyfriend jeans and a white tee. And sometimes I just like to wear trainers with my skirts, this skirt looks as good dressed up as dressed down..
For me it is all about balance a dressed up dressed down look is my comfort zone for now...just bring me a little sun and maybe I can be pushed out of it a little!! 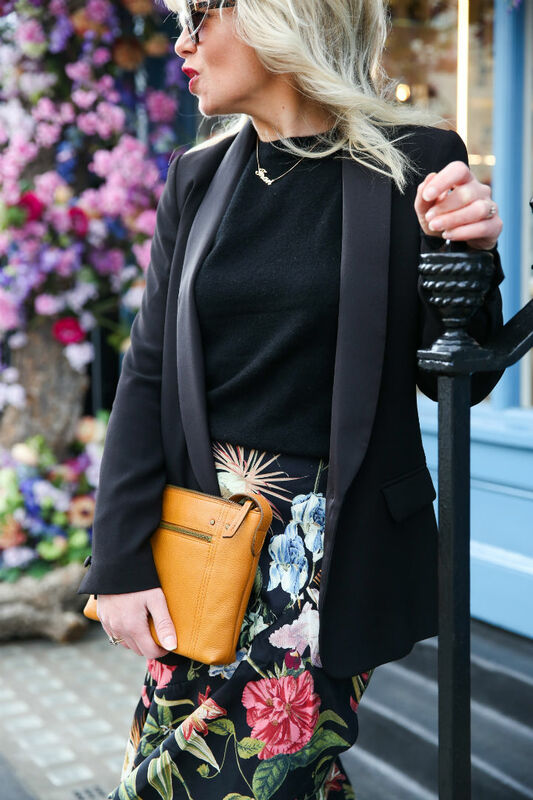 This blog post was written in collaboration with Marks and Spencer, all thoughts, opinions, styling and photography is my own.